Our delightful favour features the word 'Love' in an elegant script, crafted from metal in a solid caste metal design. The word is finished in a shabby chic gold colour. 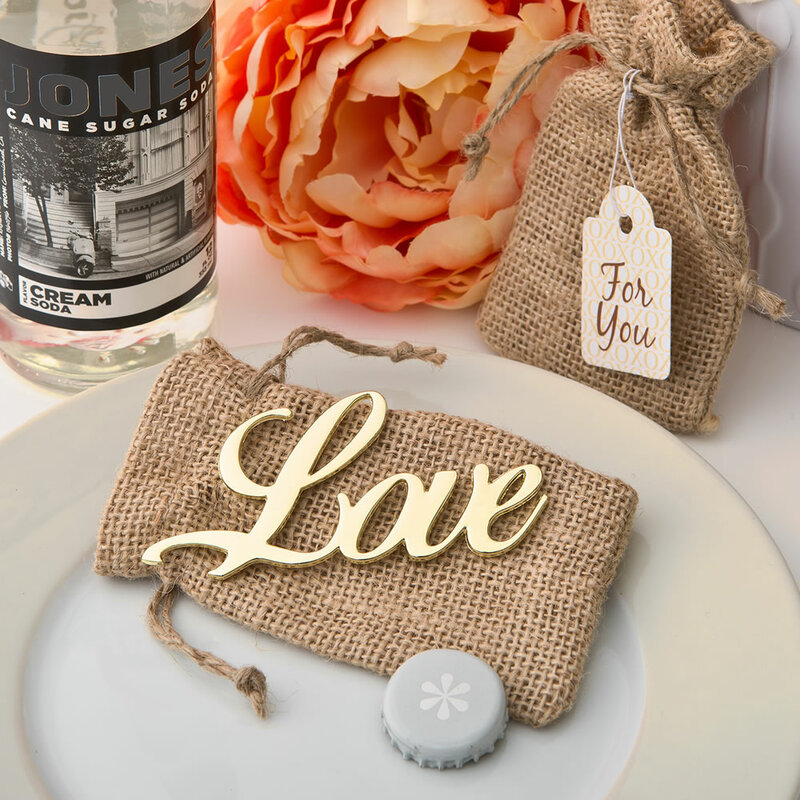 The letter L is cleverly cut out at the base to form a bottle opener and the favour is presented in a real burlap bag with a jute drawstring. Earthy, functional and on trend, this is the ultimate feel-good favour that will always remind your guests of the romantic feelings that made your event so special Size 3 5/8 inches x 2 inches.